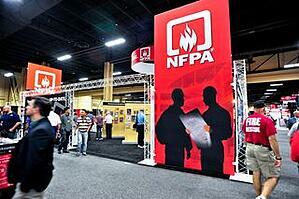 The NFPA Conference and Exposition just wrapped up on June 25, 2015. The event was an exciting week full of great sessions and exciting new product displays. I wanted to take the time to summarize some of what I learned and observed while at the conference from an industry insider’s point of view. FM Global presented on Water Mist System Fire Protection in Data Processing Equipment Rooms/Halls. They showed a great series of videos of various fire tests where conventional sprinklers, high pressure water mist nozzles, and low pressure water mist nozzles all attempted to extinguish a cable bundle fire inside a data center mockup. The most interesting aspect was the size of the fires created by the burning bundles of cable. These fires grew to be quite large and produced a large amount of smoke before any of the systems activated. 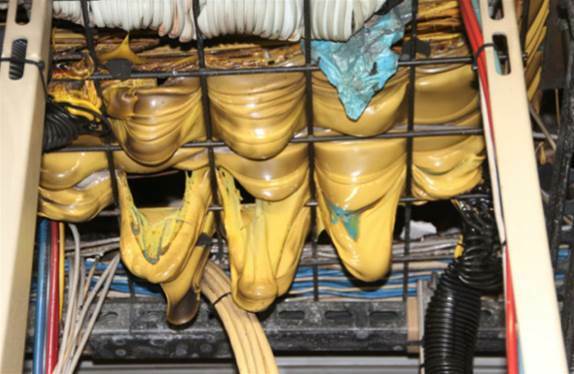 While not the point of the presentation material, the fire test data and videos of the fire damage really showed that early extinguishing systems like clean agent systems should be a part of every data center. The Automatic Fire Alarm Association hosted their annual breakfast at the NFPA meeting which usually includes a presentation, or discussion, related to the fire alarm industry. This year the topic was: third party reporting software programs and the increasing trend of their use. Featured was a panel discussion of representatives from third party reporting software companies, fire marshals from various U.S. cities, and two fire alarm service companies. The panel style format was a nice way to share different perspectives on the issue. Ultimately, it was made clear that third party reporting programs, while controversial, are here to stay. Programs are adopted by local fire departments as a way to receive standardized inspection reports on commercial buildings, in their jurisdiction, from fire protection system service companies. 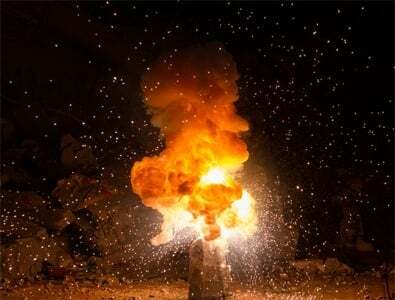 The intent is for fire departments to uncover buildings with impaired fire protection systems as soon as possible instead of waiting until theyperform their own inspection. Those opposed to third party reporting programs tend to be the service companies who must now report on their customers and also have to pay a fee for each inspection report turned in through the software. The insurance company AIG revealed an issue with reduced water supplies for sprinkler systems. In essence, sprinkler system designers obtain pressure and flow data from specific flow tests for each building and use those results to design the final systems. That data is then used for the hydraulic calculations of the sprinkler system to ensure adequate water application. The point of the presentation was to explain that during the life cycle of the building the quality of the water supply tends to change and the current industry practices focus on the components of the sprinkler system inside the building, but not enough on the quality of the water supply. Furthermore, water utilities in drought affected areas are often reducing the pressure available to their customers in order to conserve water use. That practice is negatively affecting the ability of fire sprinkler systems to control fires with adequate pressure and flow. I predict that in the future the NFPA 25 technical committee will be taking up this issue and enhancing the requirements for continued testing of fire protection system water supplies. As there was in 2014, there were several manufacturers exhibiting air sampling smoke detectors. A major difference in the market strategy could be noted this year. Xtralis, the makers of VESDA, displayed the VESDA-E VEA, an addressable air sampling smoke detector. This new product is focused on a new approach where spot smoke detectors are replaced by air sampling detectors. This method may not seem new when you think of installing air sampling detectors in a single large room, but the VEA is made to replace detectors in many rooms. In this approach, each spot detector becomes a sampling port serviced by a small diameter flexible tube which connects to the VEA box. The VEA knows the smoke conditions in each tube and can report alarms as an individual address to the fire alarm panel. To detect smoke in multiple rooms before a building owner had to settle for a “zoned” approach and would not be able to pinpoint which room the smoke is in. Now, with the VEA, they can pinpoint the location and provide the information to the responding fire department. The advantages don’t end there, the VEA provides high sensitivity smoke detection (as one should expect from an air sampling smoke detector) and can give pre-warning notifications to the building owner before emergency conditions are reached. This is a cutting edge approach for high-performance fire alarm systems that I expect to see take off in the future and for many other manufacturers to emulate. I really believe that consulting engineers should strongly consider this new approach any time they are specifying building fire alarm systems with smoke detection in all the rooms (full detection). There is no doubt that the clean agent fire extinguishing system market is mature. Many products made by the various system manufacturers have been in existence since the 1990s. It has been interesting to me that beginning in 2014, the clean agent manufacturers have started to re-engineer their inert gas clean agent products to reduce the cost of the systems by shrinking the footprint of the gas bottles used in the systems, and increasing the performance of the gas discharge valves so that standard steel pipe thicknesses can be used instead of schedule 80 and 160 pipe. This focus on inert gas systems is significant because of what it silently says about the clean agent industry: many buildings still use clean agent systems for fire protection; Europe still leads the way in installing more inert gas systems than halocarbon clean agent systems; the demand for better value and zero environmental impact in the United States has led to lower-cost inert gas systems which meet both of those demands (along with excellent fire extinguishing capabilities). I expect to see the remaining inert gas system manufacturers level the playing field in the coming years by coming out with equivalent systems using higher pressure gas cylinders and better discharge valves. The future of fire protection is looking good and we will continue to see new and innovative changes to the current products being utilized. I cannot wait to go back next year and learn even more about all the new technologies we can expect to see. Did you go this year? Feel free to share anything you found interesting in our comments section below.